Michael Graves is a renowned postmodernist architect, best known for the design of the Indianapolis Art Centre, the restoration of the Washington Monument, the Portland Building, and the Humana Building in Louisville. He is also famous for creating the items line for Target. 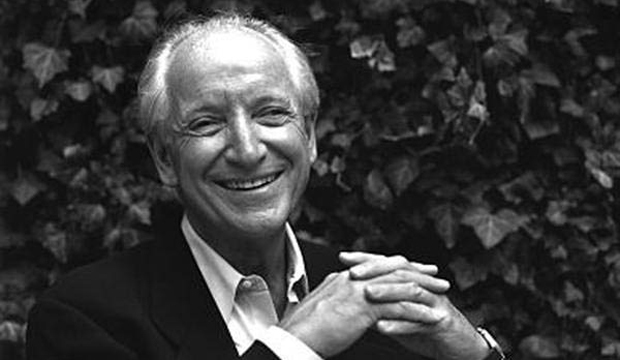 Michael Graves was born on July 9, 1934, in Indianapolis, Indiana. He attended the College of Design at the University of Cincinnati, in 1958, he received his bachelor’s degree. He then attended Harvard, and a year later, he received his master’s degree in architecture. The following year, Graves became the recipient of the prestigious Rome Prize by the American Academy in Rome. This provided him the opportunity to study at the American Academy in Rome for two years, he devoted this time to study of the region’s ubiquitous ancient structures. In 1962, Graves was appointed as a professor at the School of Architecture at Princeton University, where he taught for forty years of his life. Graves was a prominent modernist architect, and his work, crafted with plain lines and minimalistic embellishment, was a clear demonstration of the principles of the modernist movement. During the early 1970s, Grave joined the progressive and unconventional group of prominent East Coast architects, who called themselves the “New York Five”. Towards the late 70s, the influence of modernism began wearing off in his work, and eventually, he completely broke away from the movement. This turning point was marked in the ‘Plocek House’, built in 1977, in Warren New Jersey, was his first design in the new style. With this iconic building, Graves instigated a new movement of postmodernism, which did away with the clean sleekness of modernism, and introduced a new style, lightly influenced by the Classical structures of Rome. In the 1980s, Graves began inculcating a more humanistic approach into his designs, through the kaleidoscopic use of color that shone out of urban landscapes, creating a dazzling effect. He erected magnificent buildings by embellishing and decorating rubble of steel and cement in fashionable elements and tantalizing color schemes, such as the Portland Public Service Building in Oregon and the Humana Building in Louisville, Kentucky. He has also been commissioned on the construction of public buildings, such as the Burbank, California and the headquarters of the Walt Disney Company. He was also commissioned to formulate and design the lines of kitchenware for the Italian company, Alessi and major retailer, Target. In 2003, Graces suffered a spinal cord infection that left him paralyzed from the waist down, however, he became a prominent inspiration for the disabled and handicapped through his designs and philanthropy. He passed away at the age of 80, on March 12, 2015, in Princeton, New Jersey.